Strawberry Pretzel Dessert Recipe. © 2011 Peggy Trowbridge Filippone, licensed to About.com, Inc. 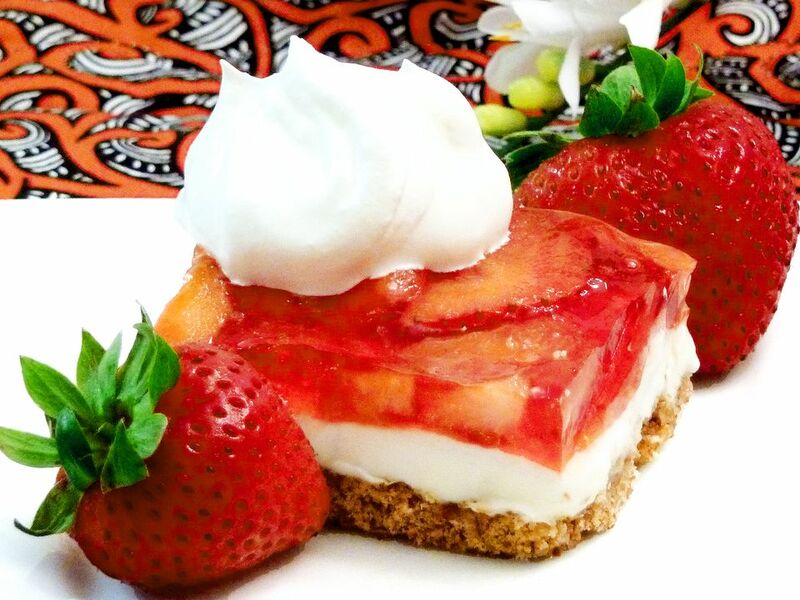 This strawberry pretzel dessert has a pretzel crust and is filled with fresh strawberries, whipped cream and gelatin. The unique combination of flavors and textures is sure to be a win for anyone who likes strawberries and pretzels. You may want to consider saving this recipe for the crust alone, as you could put other pie fillings into it for a distinctive dessert option. In fact, try it with another fruit of your choice, such as blueberries or bananas. The crust is a fabulous contrast of salty and sweet with a satisfying crunch. And the strawberries mixed with cream is rich yet light, making it a popular dessert that will turn heads and taste buds. Because you can use frozen or fresh fruit, this pie can be made -- and inevitably enjoyed -- any time of year. Finely crush pretzels with a rolling pin or put them in a plastic zipper bag and smash them by hand. Combine crushed pretzels with 3 tablespoons of sugar and butter. With a spatula, press pretzel mixture into the bottom of a 9- by 13-inch baking pan to form a crust. Bake the crust for six to 10 minutes until lightly browned. Cool completely. Pour 2 cups of boiling water over the strawberry gelatin. Stir it until it is melted and let cool to room temperature. Beat the cream cheese, 1 cup sugar, and whipped topping until they are well combined. Spread evenly over the cooled crust. Add strawberries to cooled gelatin and let thicken slightly. Spread strawberries and gelatin over cream cheese layer. Refrigerate until the pie filling is firm. Notes: As for the pretzels, select thin pretzel sticks as they will break apart easily. A 9-ounce package is an ample amount for the pie shell. Real whipped cream may be used, of course, but Cool Whip and prepared Dream Whip work equally as well and are not quite as rich and heavy. You may also use sugar-free gelatin and sugar-free and/or low-fat whipped topping.